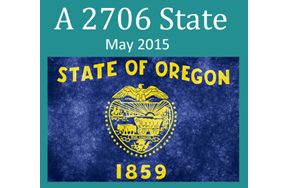 In May Oregon became the first state to pass legislation that replicates the provisions of Section 2706. In July its association of Naturopathic Physicians filed a class action suit on behalf of patients whose ND services were not covered. Section II contains the non-discrimination language of Section 2706 of the Affordable Care Act. Now in July, the Oregon Association of Naturopathic Physicians (OANP) has filed a class action lawsuit against Health Net Health Plan of Oregon and its contracted benefits provider American Specialty Health (ASH). A press release describing the lawsuit used the example of a patient who saw an ND for her annual well-woman appointment in November 2014, but was not reimbursed for the service even though a similar preventive checkup by an MD would be covered. Several patients are included in the lawsuit. One of its purposes is to address the long-standing disparities between reimbursement accorded to NDs (and ultimately other licensed integrative providers) and that attained by MDs for exactly the same procedure. The lawsuit comes a little more than a month after the Dept. of Health and Human Services released an updated version of an FAQ from April 2013 that was so poorly worded that the Senate Appropriations ordered it re-written. That took nearly two years. The re-write has been greeted as an improvement by some. Apparently the OANP feels its updated guidance still falls short when it comes to guaranteeing patients the kind of parity of coverage requested in the provisions of its lawsuit. A PDF of the OANP Press Release is here.